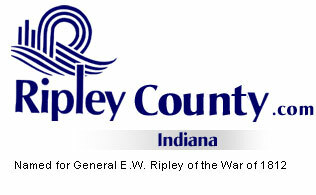 The Ripley County Council met on Tuesday, October 17th, 2006 at the Ripley County Annex in Versailles, Indiana. Donald Dunbar, Council President called the meeting to order promptly at 7:00PM with the pledge of allegiance to the flag. Council Members Don Dunbar, David Simon, Edward Armbrecht, Ben Peetz, Dephane Smith and Mark Busching and William Dramann were present. Diane Macek, Clerical acted in place of Auditor McCoy (due to State Board of Account Meeting in Indianapolis) taking minutes for the council meeting. Neil Comer, Attorney was present to advise the council on legal matter. Council Member Smith made a motion to approve the minutes from the September 19th, 2006 Council meeting s seconded by Council Member Armbrecht. Motion approved unanimously. Additional Appropriations: Council Member Dramann made a motion to approve addition appropriation of $6,000 from Fund # 100-34600-000-010/ County General/ Coroner for 4 Extra Autopsies seconded by Council Member Simon. Motion approved unanimously. Council Member Busching made a motion to approve addition appropriation of $15,000 from Fund # 100-37501-000-014/Utilities/Sheriff seconded by Council Member Armbrecht. Motion approved unanimously. Council Member Smith made a motion to approve additional appropriation of $25,000 from Fund #203-29509-000-033 Cumulative Bridge/Highway Department seconded by Council Member Dramann. Motion approved unanimously. Council Member Smith made a motion to approve additional appropriation of $30,000 from Fund #502-42153-000-502 Rising Sun Regional Foundation Grant/Highway Department seconded by Council Member Peetz. Motion approved by five (5) Council Members. (Dunbar, Smith, Peetz, Simon and Armbrecht) Two (2) Members voted against. (Busching & Dramann). Council Member Armbrecht made a motion to deny the additional appropriations of $2,000 from Fund# 425-36103-000-050 Repairs & Maintenance/ $1,500 from Fund# 425-29620-000-050 Paper Products and $1,500 from Fund # 425-33370-000-050 Electric for Park & Recreation and do as transfers seconded by Council Member Busching. Motion approved unanimously. Council Member Simon made a motion to approve the transfers for the Ripley County Department of Parks & Recreation of $2,000 from Fund #425-11350-000-050 Caretaker to Fund #425-36103-000-050 Repair & Maintenance/ $1,500 from Fund #425-11350-000-050 to Fund# 425-33370-000-050 and $1,500 from Fund # 425-11350-000-050 Caretaker to Fund # 425-29620-000-050 Paper Products for Park & Recreation seconded by Council Member Dramann. Motion approved unanimously. Council Member Busching made a motion to approve the transfer of $5,000 for the Ripley County Jail from Fund#100-32410-000-014 Meals & Housing out of County to Fund# 100-28200-000-014 Inmate Medical & Dental seconded by Council Member Armbrecht. Motion approved unanimously. Council Member Armbrecht made a motion to approve the transfer of $7,000 from Fund #246-83000-000-000 Adult Probation User’s Fees to Fund# Juvenile Probation User’s Fees Fund# 247-83000-000-000 for Ripley County Probation Department (Schmaltz had a approval from Charles Johnson State Board Accounts to transfer between the two funds Adult Probation User’s Fees/Juvenile Probation User’s Fees) seconded by Council Member Smith. Motion approved unanimously. Council President Dunbar advises the board that there are other people who are interested in the appointment to the Planning Commission Board. Dunbar advised that he thought that they needed to have about 2/3 from the council, David Osborn and Tad Brinson from Planning Commission to also be on the board to do the interviews for the appointment. Council President Dunbar and Council Members Smith and Armbrecht. Covel Mills’s current board appointment addressed the board and advised that he would like to continue on the board as the Council appointment. Armbrecht advised the board that he had forgotten he would probably be in Florida and should not be on the board. Council Member Simon advised that he would take Armbrecht place for the interviews. Commissioner Reiners presented a Resolution of Interest in Purchasing Property Adjacent to Park for the purchase of 6.23 acres adjacent to the Ripley County Park. Bill Neal, Park President advised the Council that the property is now available for purchase by the County and that would expand the Ripley County Park. Council Member Armbrecht stated that he had a problem with the price being in the resolution. Neal stated that the resolution is needed to do the appraisals. Council Member Simon made a motion to adopt the resolution that is amended with no price stated in the resolution and the County Attorney rewrite the resolution to be presented at the next meeting for signatures seconded by Council Member Armbrecht. Motion approved unanimously. Council Member Busching made a motion to not have a meeting in November and move the meeting up to the second Tuesday, December 12th for the transfers and encumbrances seconded by Council Member Dramann. Motion approved unanimously. Economic Development-Edward Armbrecht – New director is on board. Technology Committee-Edward Armbrecht- Informative meeting with WTH about CIS system. Solid Waste District-Donald Dunbar- no meeting this month working on expansion. Council Member Busching made a motion to adjourn until the next regular meeting on Tuesday, December 12th, 2006 @ 7:00PM seconded by Council Member Dramann. Motion approved unanimously.